This book will help you understand the principles and acquire the necessary communication skills so you can enjoy the process of turning prospects into willing customers. 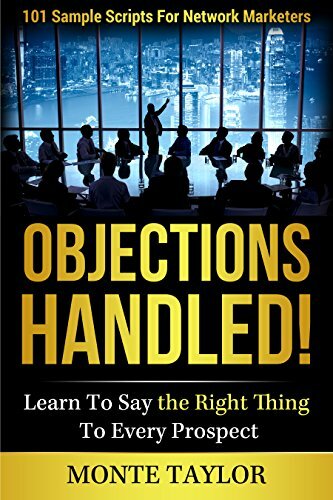 Do you know how to handle objections? Check these 101 scripts in handling network marketing objections.